PRICE INCLUDES 3 Year Engine Warranty & 10 Years Chassis Warranty, subject to Terms & Conditions! 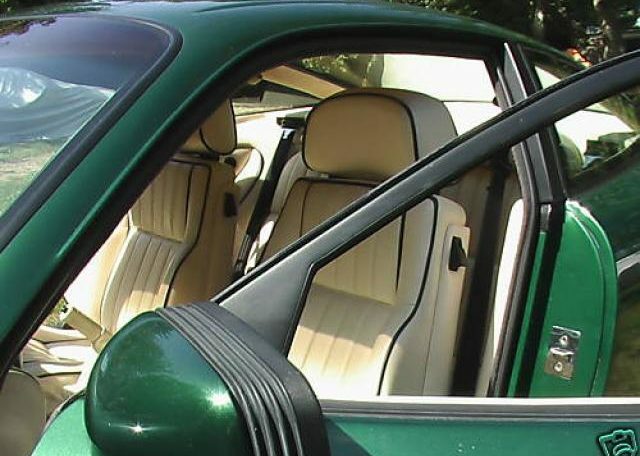 Rare Vented Wing Hand Built Aluminium Coupe Automatic that cost £170,000 new in 1990. The factory vented wings cost £15,000 extra at that time, so was only carried out on just 4-5 Coupes, because of the expense. Currently being Fully restored at an Aston Martin Works equivalent cost estimate of £40,000 including vat. Just 36,000 miles since new, guaranteed FAMSH. 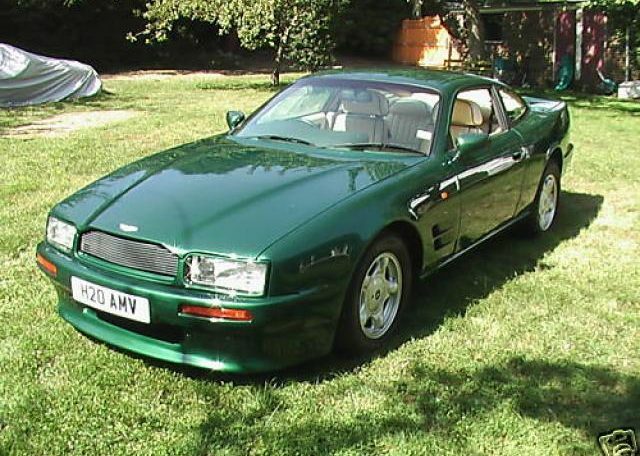 Sold when brand new in 1990 by the World’s 2nd Oldest Aston Martin Dealership; Strattons, near Norwich and now being fully restored by them as well. 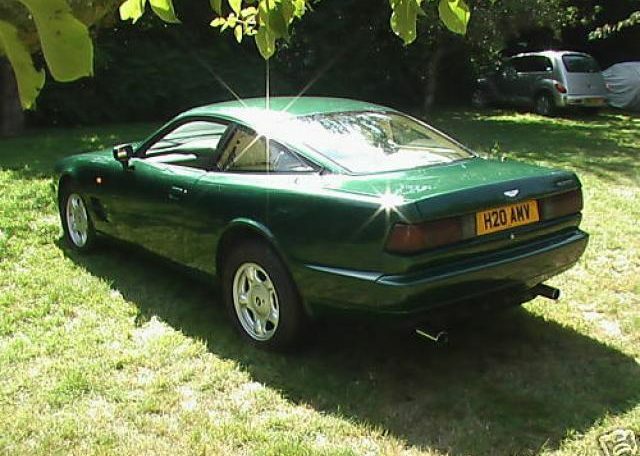 It should be one of the best hand-built Aluminium bodied Virage in the World, when finished, apart from being such a rare factory vented-wing Coupe. Car is available with a Full 5 to 10 Year Body & Chassis Warranty & a 3-5 Year Engine & Transmission Warranty at extra cost. Car has to come back to Strattons, our preferred Official Aston Martin Dealership, for us to honour this warranty. Car is available with our full upto 85% 1 yr Buyback & 100% (all your money back), Guarantee after 5 Years (STC), as this is a super rare Hand built Classic with a great deal of provenance. The number of Virage available with the Factory-Fitted vented wings are suppose to number very few indeed. Exact numbers are not possible, but indication is maybe 1/2 a dozen or so from Aston Heritage. 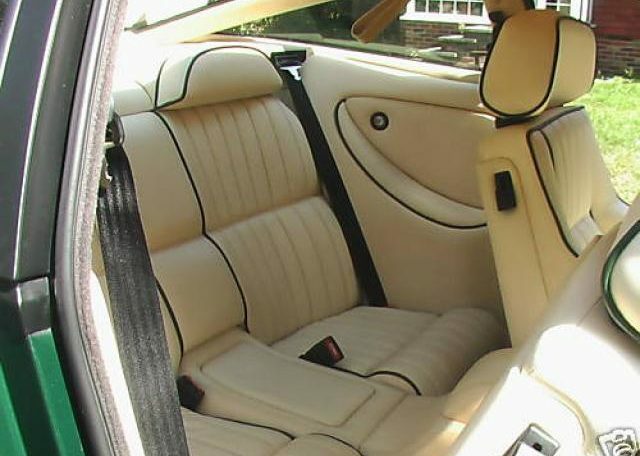 To have Aston Martin Heritage Works fit this option on now, would cost approx £24,000 or more! 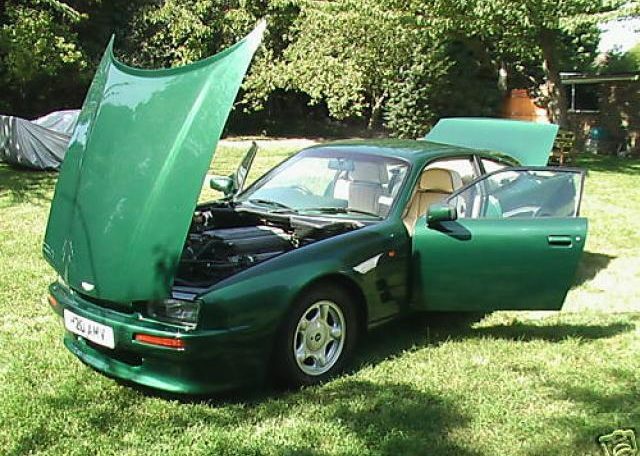 An unfeasible expense, which makes this car rarer than most other Virage Coupe variants. 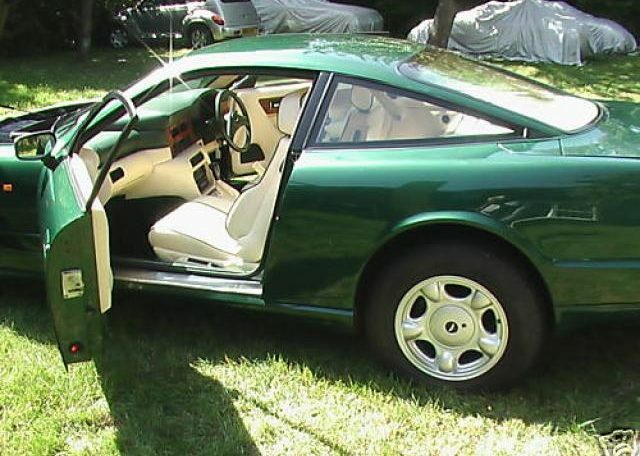 When did you last see a vented wing standard coupe? Once the RHD & LHD figures are taken from the 365 actually made in Total, then the car starts becoming even rarer in their UK & European Markets. The Average retail price in Europe for LHD is approx £53,000 for a “normal” Virage Coupe & less than 1/2 that figure in UK. 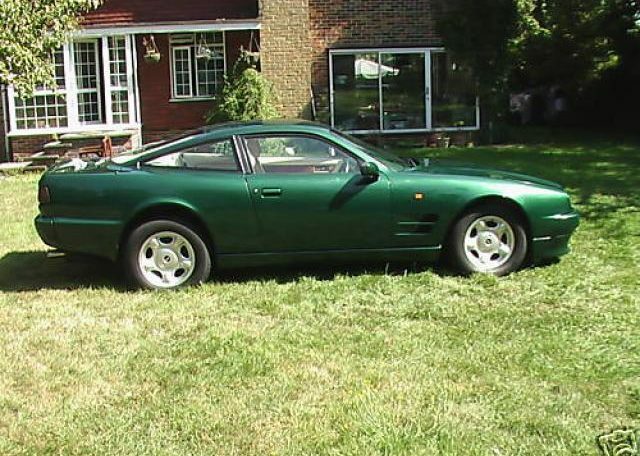 Out of approx 14 standard bodied Virage Coupe Models for Sale in USA, UK & Europe at the moment; not a single other car has the double-vented Wings. 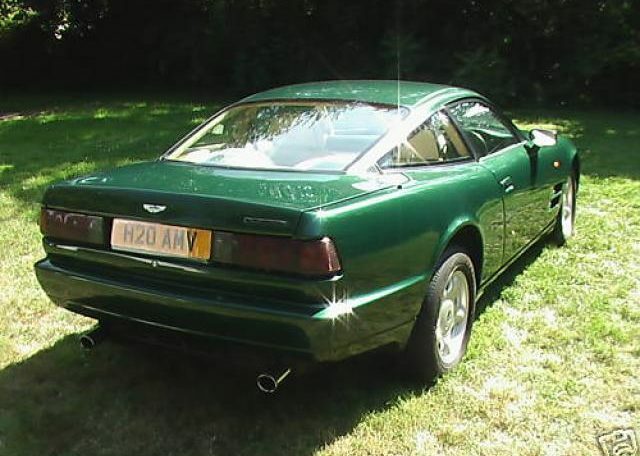 So from costing £165,000 odd in 1990, (approx equivalent to £500,000 in today’s purchasing power in monetary terms), and with a rare factory installed option of vented wings, that cost £15,000 extra at that time; our Virage is a bit more special than most of the other models. The lovely reliable automatic transmission, is much more preferable for a pleasant driving experience than the manual. The car is now fitted with the very desireable upgrade of the far more efficient and effective Brake system with new calipers and expensive “race-quality” Ceramic Brake pads; as a well serviced & expertly tuned engine can easily achieve upto 360-380 BHP without much effort! 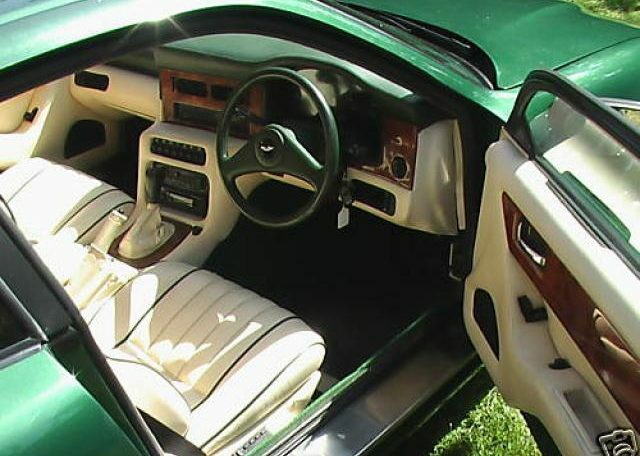 The metallic Buckingham Green is a truly sensational colour on an Aston, especially coupled with gorgeous Magnolia Leather with matching Green Piping. 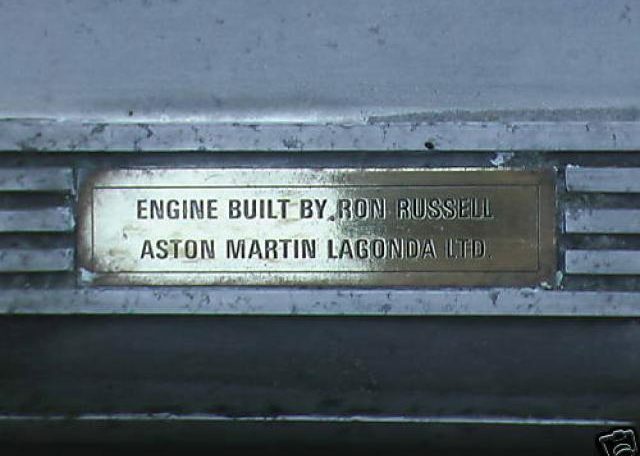 Please remember this Model Range was the last truly Hand-built Factory Aston Martin, that ended a long tradition of the way Astons were built. 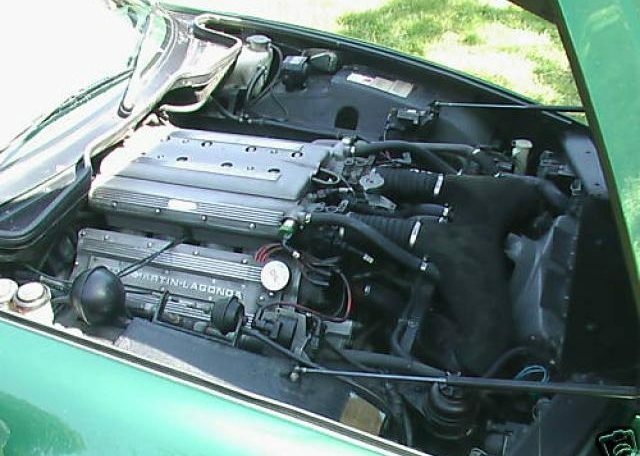 From the DB7 Model onwards, (when Ford purchased the Co); all the subsequent Aston cars were produced just like normal mass produced cars & in far, far greater quantity. 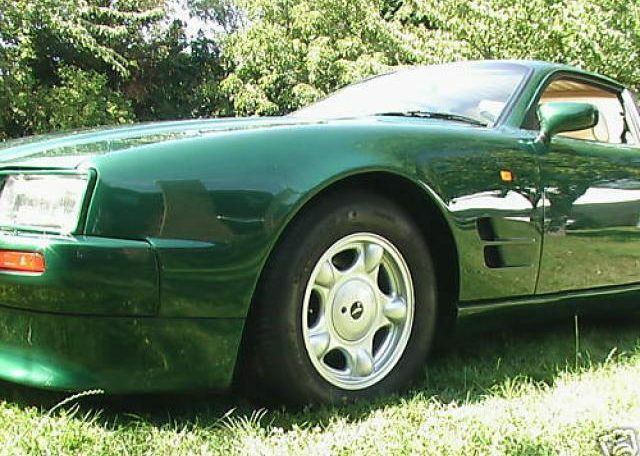 The Virage Bodyshell is all Aluminium, that has been formed by individuals hand-beating each panel; making these some of the costliest & rarest Production cars of their time, in the history of Automobiles. A Guaranteed 1 Year BUYBACK price is available, subject to Terms & Conditions, from just 15% less; which is from only £3,583 LOSS if you wish to return the car back to us! 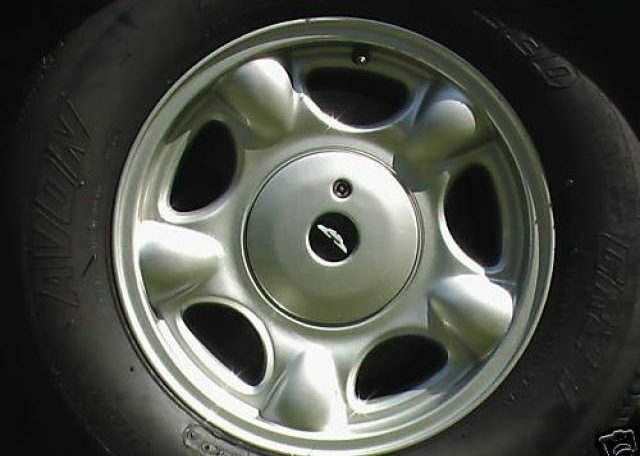 Please go to our website www.arjunauto.com to read all the terms & conditions for our Buyback. Even a Guaranteed 100% BUYBACK price is available, subject to Terms & Conditions, if you wish to return the car back to us after 4-5 Years! Please go to our website www.arjunauto.com to read all the terms & conditions of this unique offer! Will accept a greater or lesser value LHD or RHD Part Exchange from all over the world, even if we have to pay cash ontop! 1-10 Year Warranty packages are also available; please enquire. Please look at our website www.arjunauto.com for a longer & more detailed perspective on this rare Investment grade car & terms & conditions of our Buyback. P.S. As we are AMOC Members, we are happy to offer some discount to fellow AMOC members anywhere around the World! Please remember our 100% Buyback Guarantee in 4-5 Years will still apply subject to our Terms & Conditions! OFFERS INVITED ON THIS FULLY RESTORED ASTON AT AN EQUIVALENT COST OF £100,000 AT OFFICIAL CURRENT ASTON MARTIN WORKS LABOUR RATES AND PARTS PRICES.